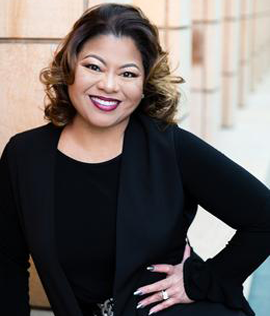 With motivation and drive, Joy Santiago Clark has achieved great success in the past 2 decade as one of Nations top agents and is Broker/President of Dwellings Unlimited. Joy Santiago was featured as the Realtor Expert with 4 Metro-Detroit homeowners on HGTV's (Home & Garden Television), show-"My House is Worth What? "-a reality show about house values around the country. Joy was also the featured Realtor in an episode of House Hunters. Joy was featured in Time Magazine highlighting foreclosure tours in Detroit. As a REALTOR specializing in selling Dwellings to buyers and investors in Detroit, southern Oakland, and Wayne Counties, Joy is a multi-million dollar producer & continues to be in the top tier of Realtors nationwide. Accolades include Top Salesperson, Top Sales Volume, Salesperson of the Year and Top Agent awards. "I have listed and sold Dwellings for hundred's of Companies, families & individuals including many of Detroit's best! Estate of US Court of Appeals Judge and Solicitor General: Wade McCree, Jr. Being part of the "creative class" has given me the knowledge and the experience that makes my outlook on the real estate world "different and unique". Early in her career she mentored with one of the best-selling Realtors in the nation, Ralph Roberts, learning that customer service and receiving the most up-to-date training and information about real estate and the local market are key in assisting home buyers achieve their goals. As a real estate investor herself, Joy also knows how to find great deals for investors, including multiple homes and bulk sales. Joy Santiago was also the featured Realtor Expert on an episode of HGTV's "House Hunters", -A reality show about local home-buyers "hunting" for a new home. Raised in Ann Arbor, Michigan, Joy was taught that education and hard work foster success. Joy attended Ann Arbor Huron High School and Eastern Michigan University, and then moved to downtown Detroit where she worked in sales and management by establishing, Detroit's First Techno Music booking agency-the Moshi Company (1990-1998) all by the age of 23. In 1998, becoming a REALTOR® was easy. "I knew that taking care of my clients and doing what is best for them, is always the best policy, says Joy. Honesty and integrity is always a given." As a metro-Detroit resident for most of her adult life, Joy respects and understands each individual and families’ needs, and can make most any real estate-related dream or goal come true. Joy’s personal interests include photography, travel, shopping, and gourmet cooking & dining. Joy is always available to answer questions, and is more than pleased to provide a personal overview of the home buying process to anyone new to real estate, and is more than willing to prepare comprehensive presentations for investors and for families wishing to find out their options for housing and financing options.